“A door opens to me. 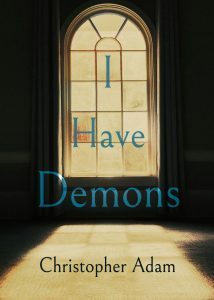 I go in and am faced with a hundred closed doors…” Those thoughts from Argentinian poet Antonio Porchia lay some of the foundations of a theological study written in 1972 by Henri Nouwen that encourages Catholic priests and other ministers to reach out to the vulnerable they serve by recognizing their own personal vulnerability. 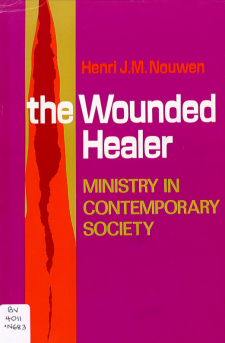 As the late theologian and Catholic priest writes in The Wounded Healer — Ministry in Contemporary Society, a minister ought to “recognize the suffering of his times in his own heart and make that suffering the starting point of his service.” Speaking of the Catholic priest, Nouwen then adds that he should “make his own wounds available as a source of healing.” That image of a vulnerable and wounded pastor serving people through the prism of his own infirmities can be seen as revolutionary given the predominant view that as the conduit of God’s salvific power and in his capacity as “another Christ” to his parishioners, the Catholic priest ought to rightly stand on a pedestal. I think that most will recognize Jesus in the image of welcoming the tired traveler into one’s home and the Catholic teaching on the mediated nature of salvation; with the caveat that the foundation of the Gospel is the story of how salvation was delivered not with great, luxurious fanfare or through the designated leaders and respectable society of the day, but through an outcast. Nouwen’s work is both highly readable and also challenging in some of what the author asks us to ponder. At its core, Nouwen moves us to consider what I will refer to as fleeting moments of redemption. This is not salvation on a grand celestial scale, but rather the concept that sometimes during the most difficult moments in one’s life, someone–possibly a stranger–will appear unexpectedly and deliver a moment of mercy. The messenger will, in all likelihood, be imperfect and may carry some of the same wounds as the recipient of this unexpected act of mercy.